Imagine a place, only 4 km away from the centre of Pitesti, where you feel as if you were in the mountains, in the middle of the forest and of the nature’s murmur; this place exists and it is called Cornul Vanatorului Tourist Complex, a stop-over for Arges people and for tourists. The Summer Garden welcomes you with beautifully decorated tables in the shadow of secular trees and fir trees creating a mountain atmosphere, while the main alley leads you to the many restaurant saloons. 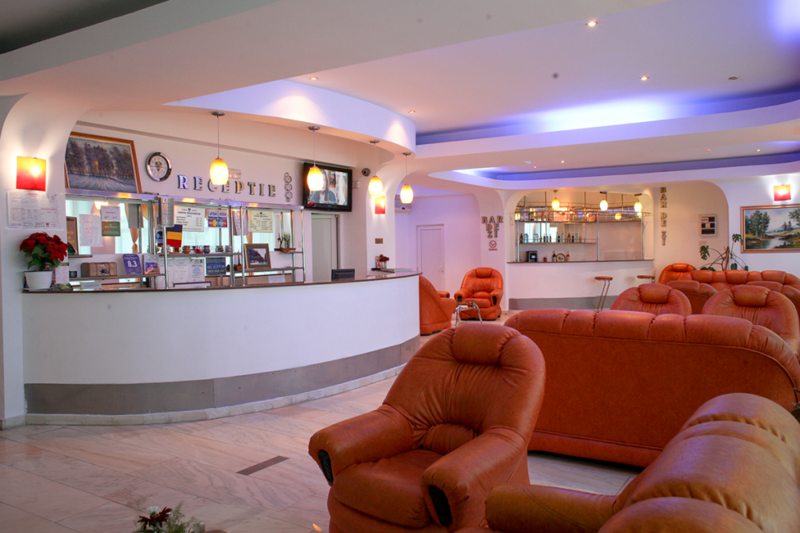 Since the entry point, the highly qualified personnel gladly receive you and offer you the menu. This is the beginning of a pleasant surprise, because at Cornul Vanatorului, they prepare a tasty traditional food, all types of game, as well as international cuisine. And if you wish to stay for a few days in this heavenly place, Cornul Vanatorului Tourist Complex Hotel welcomes you with the comfort you deserve: large rooms, equipped according to the European standards, with air-conditioned and cable television. The windows offer the joy of watching the forest landscape and the well-deserved oxygen. Cornul Vanatorului Hotel harmoniously combines the modern to the rustic (hunting) style to which you can add the beauty of the gorgeous natural framework of the Trivale Forest, representing the ending point of open air walks for the inhabitants of Pitesti and the tourists, about 800m distance from the Zoological Garden of Pitesti and about 1000m until the Trivale monarchic monastery, dated in the 17th century.